Eric Greitens sits alongside his wife, Sheena Greitens, and Attorney General Josh Hawley and his wife, Erin Morrow Hawley. On the latest edition of the Politically Speaking podcast, St. Louis Public Radio’s Jason Rosenbaum, Jo Mannies and Rachel Lippmann round up this week’s legal and political news surrounding Missouri Gov. Eric Greitens. This week’s episode zeroes in on how Greitens’ political plight is weighing on other political figures — including Attorney General Josh Hawley. Greitens’ legal team unsuccessfully sought to move the trial date from mid-May to early April. One of the reasons cited is to get the trial over with before a House committee releases its report on the governor’s conduct. Mannies profiled members of this committee this week, which is lead by term-limited Rep. Jay Barnes, R-Jefferson City. The committee is slated to release its report by April 9. We talked with Washington University Law Professor Peter Joy about why it may or may not matter whether St. Louis Circuit Attorney Kim Gardner retrieves a photograph that’s central to Greitens’ trial. The late-breaking development where Gardner alleged Greitens used a text-deleting cell phone app to transmit the photo. How Attorney General Josh Hawley is updating reporters on his Mission Continues investigation — which comes as Democrats are attacking him for going too easy on the governor. Why at least one Republican lawmaker believes it’s too early to determine whether Greitens will influence his re-election bid. 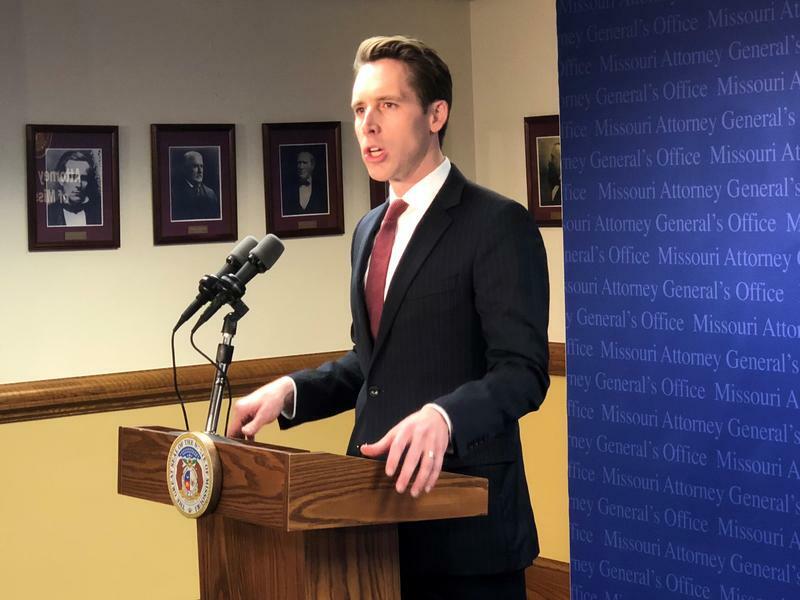 Attorney General Josh Hawley announced he’s issued 15 subpoenas as part of an investigation into how Gov. Eric Greitens’ campaign received a fundraising list from a veterans charity he founded. He also said he would fight any attempt by Greitens to use “executive privilege” in the matter. Representatives of Greitens’ campaign did not respond to a request for comment Friday. Popularity of a president often looms large during midterm elections, as it often plays a bigger role in voter decision-making than seemingly endless television ads or the back-and-forth between candidates. Attorney General Josh Hawley is clearly banking that President Donald Trump will be popular enough this fall to assist his Senate bid against U.S. Sen. Claire McCaskill. He made that contention during a Tuesday night campaign stop in west St. Louis County. As Gov. 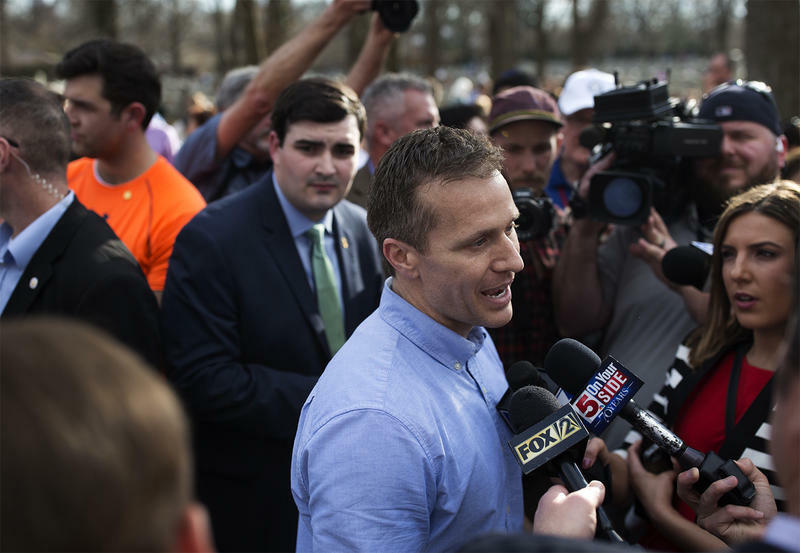 Eric Greitens’ legal and political future continues to dominate the headlines, Politically Speaking is launching a standalone show detailing the developments in the Missouri chief executive’s saga. St. Louis Public Radio’s political reporters will discuss what’s going on in court, the Missouri General Assembly and the electoral arena with the governor’s case. We’ll also answer your questions about the situation.